Nice drawing of the vase "Chamomile large" is popular with many customers for the simplicity and elegance, as well as the comfort that it brings to the house. Therefore, vases with floral patterns are the favorite classics of the inhabitants of Russia. This model has a neat artistic painting on the transparent glass, but also we have products from opaque glass and models with geometric or ethnic patterns. 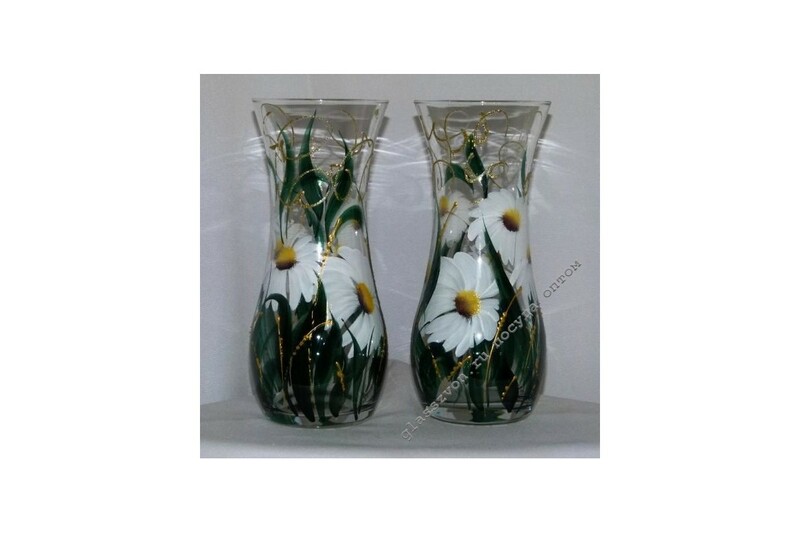 The variety of our assortment and low cost of vases help store owners make profitable wholesale purchases from one supplier. 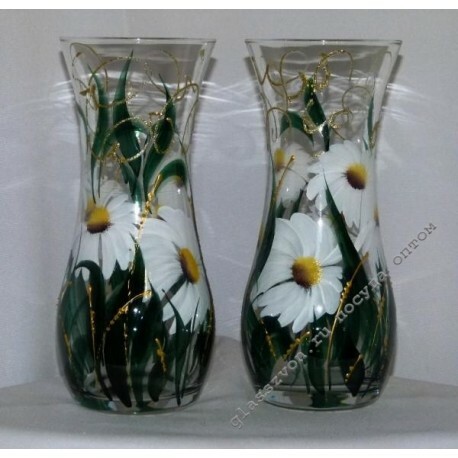 We have a vast geography of supplies, so we deliver glass vases wholesale: Moscow, St. Petersburg, Novosibirsk and other cities. You do not have to wait a long time for the goods, it will necessarily come in safekeeping.